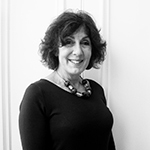 Dementia and turn that understanding into action. I’m often asked, “What is a Dementia Friend?” “Do I have to visit people at home?” “What am I expected to do?” The key thing to know is you don’t have to know someone with Dementia to become a Dementia Friend. Dementia Friends is part of a social action movement to increase awareness of Dementia and address the stigma experienced by many people living with the illness. With the right support and understanding, people can live well with Dementia and still be active and contribute to their local community. Only by raising the level of awareness and understanding can we make a positive difference. 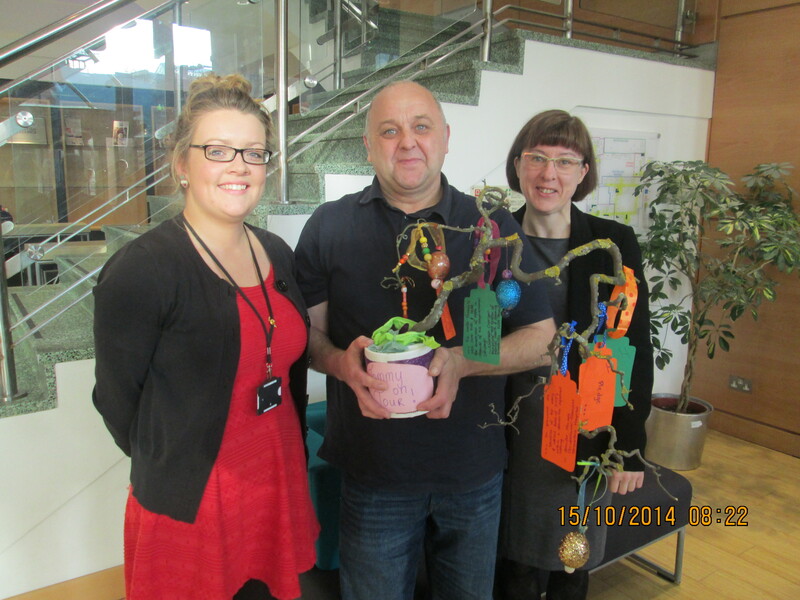 We aim to deliver information through the 5 Key Messages of the Dementia Friends Initiative. Q. How do you become a Dementia Friend? A. Easy. 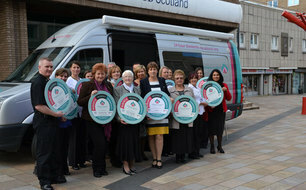 Visit the website (www.dementiafriendscotland.org) and spend 10 minutes watching a few short films. 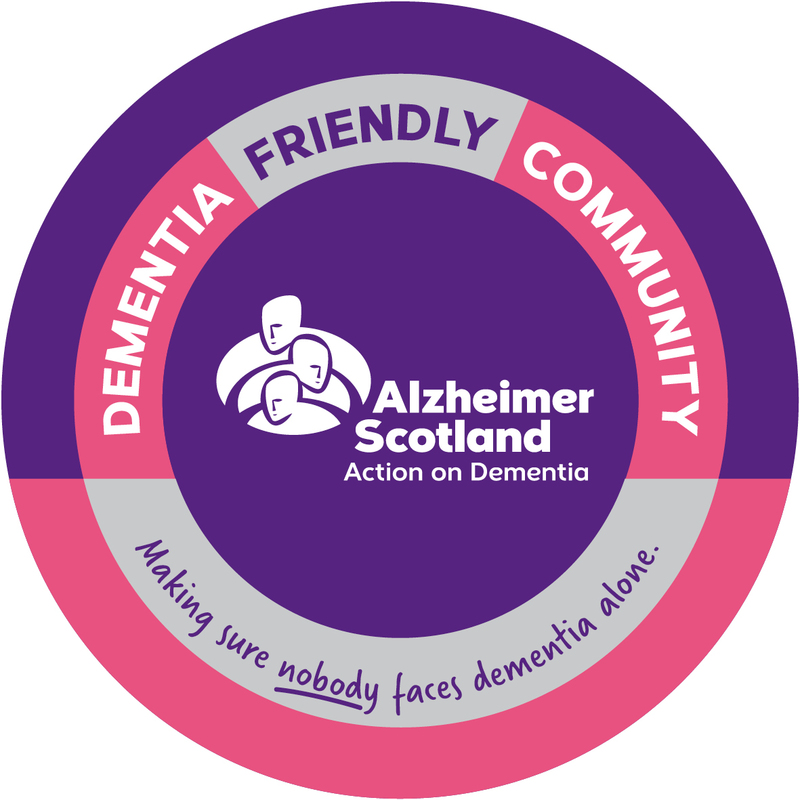 Or, if you can spare 1 hour of your day, you could attend one of our interactive information sessions and join the 7500 people who have already signed up to become Dementia Friends in Scotland. Q. How do I attend an Information Session? Q. When and how do I get my badge? A. If you have completed the registration process online, you will receive a badge and your 5 key messages card through the post. Alternatively, if you attend an information session, you will receive you badge and card at the end of the session. Q. Do I have to visit people at home? A. No. This is not a befriending service. There is no expectation to visit people living with Dementia. This is solely about raising awareness and reducing stereotypes and stigma. Q. 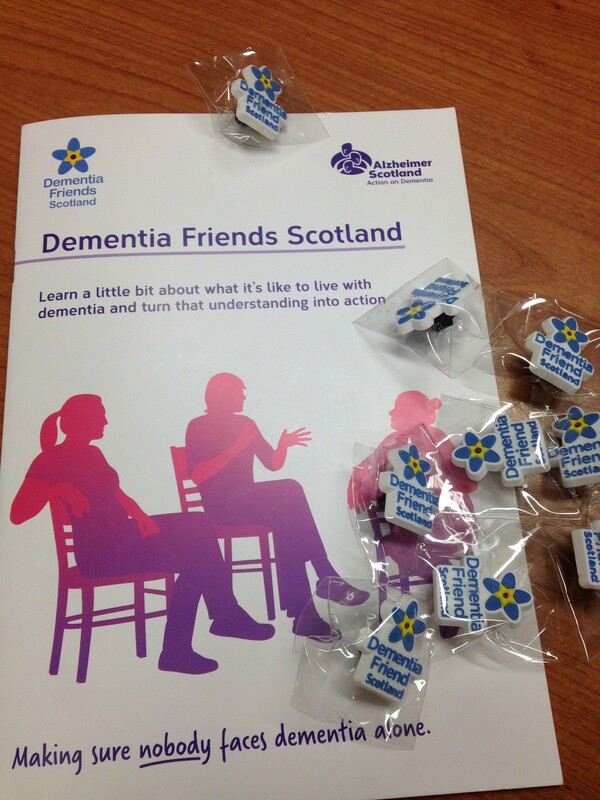 What am I expected to do as a Dementia Friend? A. As much or as little as you want. All we ask is that you answer a “call to action”. This could be something as small as wearing your badge with pride, to helping out at a fund raising event. There is no obligation for you to do anything; but we hope that by choosing to become a Dementia Friend, you have chosen to engage and feel as passionately as we do about improving the lives of people with Dementia. Any contribution you make, big or small helps us to work towards building a Dementia Friendly Community. 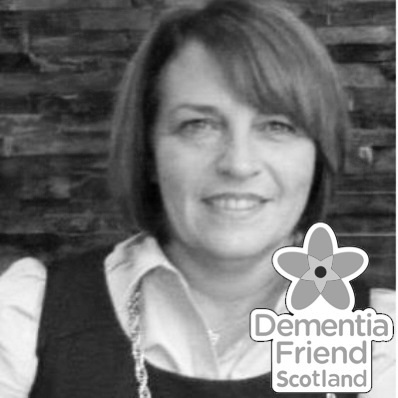 “Thank you for considering becoming a Dementia Friend. It makes a big difference to people like me, all over Scotland, that people like you want to help us to live well in our local communities”. 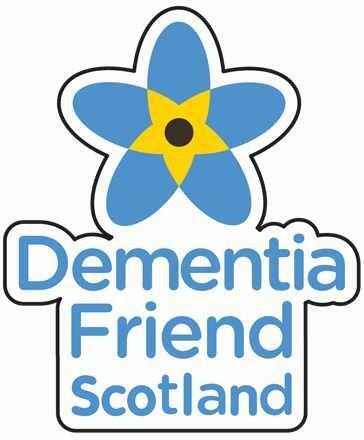 (Stewart, Face of Dementia Friends Scotland). We would be interested to hear from you if you have become a dementia friend. What impact has it had? What have been your key messages in being a dementia friend? We also, ever welcome any comments on this blog post.